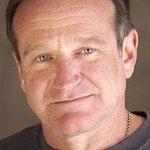 Robin Williams, John Cleese and Rowan Atkinson lead the line-up of comedic talent that will perform at “We Are Most Amused” next month. The night of comedy will help celebrate Prince Charles' 60th birthday, as well as benefit the Prince's Trust. Founded by Prince Charles in 1976 (using his severance pay of £7,400 from the Navy), the Prince’s Trust exists to help the UK’s troubled youth through support, training and personal development. With skill development, self confidence and a completed education – and even money for a start up business – young people with hopeless outlooks are now heading toward self chosen goals and achieving their real potential. It has for most of the youths that pass through the Trust’s doors. Of the 40,000 youths that the Trust supported last year, 73% moved into employment, education or training. This achievement, though, comes at a high financial price, so the proceeds from We Are Most Amused will be most welcome. The good news is that the tickets for the November 12 show at the New Wimbledon Theatre sold out in one hour, even though the roster is as yet incomplete. But with icons like Williams, Cleese and Atkinson on the docket, there is little doubt as to the quality that both the stand-up and comedy sketch performances will deliver.